A new quarter at UC Davis brings a calendar filled to the brim, as always, with new museum and art exhibitions (two are already open), music, theater and dance, and literary events for our cultural senses. Programs include Shinkoskey Noon Concerts (they’re held most every Thursday, starting this week, and they’re free); the Betty Jean and Wayne Thiebaud Endowed Lecture in art; Romeo and Juliet; the musical Urinetown by the student troupe Studio 301; readings by novelists and poets; and book chats with faculty authors. The Mondavi Center for the Performing Arts’ winter quarter lineup includes soprano Renée Fleming; Lisa Fischer, taking a solo turn after two decades as a backup singer with the Rolling Stones and others; Cirque Alfonse; and a pair of “Love, Madly” concerts, Valentine’s Day Eve and Valentine’s Day, by pianist Lara Downes, the Mondavi Center’s artist in residence. Scholars from around the world are expected for the two-day conference Il Divino Cipriano: New Perspectives on the Music of Cipriano de Rore, being held in conjunction with the 500th anniversary of the Flemish composer’s birth. Wednesday-Thursday, Jan. 13-14, Vanderhoef Studio Theatre, Mondavi Center for the Performing Arts. • The Music of Cipriano de Rore and Friends — The Orlando Consort performs works by il Divino Cipriano, and music set to the text of Anchor che col partire by four composers: de Rore, Orlando di Lasso, Jacquet of Mantua and UC Davis faculty composer Pablo Ortiz. 8 p.m. Wednesday, Jan. 13, Vanderhoef Studio Theatre, Mondavi Center. This concert is free and open to the public, but tickets must be reserved. • Exploring the Music of Cipriano de Rore — The UC Davis Early Music Ensemble's program includes selections from Missa Doulce mémoire. This is a Shinkoskey Noon Concert, free and open to the public. 12:05 p.m. Thursday, Jan. 14, Jackson Hall, Mondavi Center. The Orlando Consort also performs Friday, Jan. 15, in the first event of the Mondavi Center's new film-and-music series. Singing music from the time of Joan of Arc, the consort will accompany Carl Theodor Dreyer’s silent film La Passion de Jeanne d’Arc. This is a ticketed event, 8 p.m., Jackson Hall. And, trying something new, the Mondavi Center presents films accompanied by live music, including E.T. the Extra-Terrestrial with the San Francisco Symphony. Here are highlights of winter quarter arts. Click on the links for more information, and check the UC Davis online calendar for timely updates. • C.N. Gorman Museum — “Heroes/Ghosts: Annie Ross,” solo exhibition in which the painter Ross reflects on urban and state-sponsored violence, climate change and how aboriginal logic works, informs and prevails in its midst. Ross, a UC Davis graduate in Native American studies, is an associate professor in First Nations Studies at Simon Fraser University in Vancouver, British Columbia. Jan. 5-March 11. The C.N. Gorman Museum is in 1316 Hart Hall. Regular hours: noon-5 p.m. Monday-Friday, and 2-5 p.m. Sunday. • Design Museum — “The Image of Fashion: A Photographer’s Legacy,” in which the museum draws on its collection of clothing and accessories, for pairing with photos by Paul W. Hollingshead (1896-1974), whose work documents evolving styles in fashion and photography. 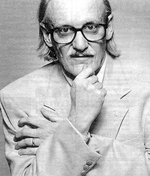 He was a fashion photographer in New York in the 1920s, then operated a photo studio in Woodland until 1969. Today (Jan. 4) through Feb. 26. Opening reception with talks by the photographer’s son Bill Hollingshead and retired design department lecturer Jo Ann Stabb, 6-8 p.m. Thursday, Jan. 7. The Design Museum is in 124 Cruess Hall. Regular hours: noon-4 p.m. Monday-Friday, and 2-4 p.m. Sunday. • Basement Gallery — Undergraduate students present their work, including video and performance pieces, Jan. 29-Feb. 5. The Basement Gallery is in the Art Building. • TANA — Taller Arte del Amanacer, or Art Workshop of the New Dawn, run by the Department of Chicana/o Studies, presents works by two artists from Michoacán, Mexico: Ramon Viera, intricate wood engravings of religious and mythical themes; and Nacho González Calleja, photographs of sugar cane workers. Feb. 5-March 31. Opening reception, 6-8 p.m. Friday, Feb. 5. TANA is at 1224 Lemen Ave., Woodland. • Shields Library — Continuing through winter quarter, “California in Song,” a Special Collections display of sheet music of songs about California. In the lobby of Shields Library. Library hours are listed here. • Visiting Artist Lecture Series — Hrag Vartanian, curator, critic and writer, and co-founder and editor-in-chief of Hyperallergic, a blogazine, Thursday, Jan. 7; Eileen Quinlan, photographer whose abstract imagery is grounded in feminist history and material culture, Thursday, Feb. 18; and Peter Schjeldahl, longtime art critic for The New Yorker magazine, giving the second Betty Jean and Wayne Thiebaud Endowed Lecture, Thursday, March 10. All programs start at 4:30 p.m.; the Vartanian and Quinlan programs will be held in 107 Art Annex, and the Schjeldahl lecture will be held at the Buehler Alumni Center. • Art History Program’s Alan Templeton Colloquium — “Convergent Cultures/Convergent Images,” addressing the cross-cultural and cross-regional nature of visual heritage, and considering how contemporary responses to visual culture and identity are centered in their historical roots. 4-7 p.m. Friday, Jan. 29, Ballroom B, Conference Center. • La Esquinita — A play written and performed by Ruben C. Gonzalez, who plays eight characters contemplating life in a once booming town. 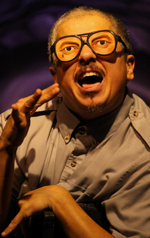 Gonzalez holds a Master of Fine Arts degree in dramatic arts from UC Davis. NEW DATES: Friday-Saturday, Jan. 15-16, Wyatt Pavilion Theatre. • Time Is Passing By ­— Students perform in this Main Stage Dance production directed by Granada Artist-in-Residence John Jasperse. Thursday-Sunday, Feb. 25-28 and March 3-6, Main Theatre, Wright Hall. • Romeo and Juliet — Performed by the undergraduate acting company of Professor Peter Lichtenfels’ Drama 122B. Thursday-Sunday, March 3-6, Arena Stage, Wright Hall. • B-More — By M.F.A. directing student Robert Greg Pierotti, examining race and police violence through the lens of the 2015 Baltimore uprisings. Thursday-Sunday, March 10-13, Wyatt Pavilion Theatre. • Thesis dance project (not yet titled) by Raissa Simpson — She’s an M.F.A. dance student and artistic director of Oakland’s PUSH Dance Company. Thursday-Sunday, March 10-13, Main Theatre, Wright Hall. • Urinetown — Musical production by Studio 301. Thursday-Sunday, March 10-13, Wyatt Pavilion Theatre. Contact Jason Moscado by email for performance times and other information. • Creative Writing Program Reading Series — Novelists Annie Liontas (Let Me Explain You) andNaomi Williams(Landfalls), Thursday, Jan. 14; and poets Sandra Lim (Loveliest Grotesque and The Wilderness) and Fanny Howe (her collections include Second Childhood and Come and See), Tuesday, Feb. 16. Programs begin at 7 p.m. in 126 Voorhies Hall. • UC Davis Humanities Institute Brown Bag Book Chats — Tobias Menely, assistant professor of English, The Animal Claim, Wednesday, Jan. 27; and Larry Bogad, associate professor of theater, Tactical Performance: Serious Play and Social Movements, Wednesday, March 2. Programs begin at noon in 228 Voorhies Hall. • Shinkoskey Noon Concerts — Free and open to the public, the winter quarter series starts this Thursday (Jan. 7) with the Musica Pacifica baroque ensemble. The series continues every Thursday through March 10 (except March 3), with a lineup that includes university and visiting musicians. Concerts are held from 12:05 to 1 p.m. at the Mondavi Center for the Performing Arts. See the complete lineup here. • Symphony Orchestra — “Springtime Dances”: Ginastera’s Ballet Suite from Panambí; Nielson Clarinet Concerto, with soloist Maximiliano Martín, principal clarinetist of the Scottish Chamber Orchestra; and Schumann’s Symphony No. 3 in E-Flat Major. Saturday, Feb. 13, Jackson Hall, Mondavi Center. • Empyrean Ensemble — “Young and Restless (Part 1)”: Premieres of works by graduate composition students. Sunday, Feb. 21, Vanderhoef Studio Theatre, Mondavi Center. • Early Music Ensemble — “Chains of Inspiration”: Works by Josquin, de Rore, Monteverdi, Pablo Ortiz, Ross Bauer and Poulenc. Wednesday, March 2, Davis Community Church, 412 C St.
• Baroque Ensemble — Friday, March 4, Episcopal Church of St. Martin, 640 Hawthorn Lane, Davis. • Symphony Orchestra and the University and Alumni Choruses — Ode to Joy! Beethoven’s Symphony No. 9 and works by Mozart. Sunday, March 13, Jackson Hall, Mondavi Center. See all music department events. • Atomos — Wayne McGregor’s company creates dances with art, technology and science. Wednesday, Jan. 20. • Timber! — Cirque Alfonse’s latest creation draws on the group’s Quebeçois country roots. With axes flying, logs rolling and fiddles blazing, Timber! is a raucous celebration of lumberjacks, loggers and traditional farm life in Quebec. Sunday, Jan. 31. • “Love, Madly” — Lara Downes’ piano program, inspired by romantic dramas, features the West Coast premiere of “Mad Love” by composer Daniel Felsenfeld. Wednesday-Thursday, Feb. 13 and 14. • Ms. Lisa Fischer & Grand Baton — She’s the former backup singer for the Stones, Sting, Chris Botti and countless others. Grand Baton is JC Maillard and his band. Thursday, Feb. 14. • Renée Fleming — “The people’s diva” is a recipient of the National Medal of Arts. Wednesday, March 2. • Academy of St. Martin in the Fields — With Joshua Bell, music director and soloist, performing music by Prokofiev, Tchaikovsky, Schumann and Beethoven. Saturday, March 5. • Mondavi Center National Young Artists Competition —Christopher O’Riley, host of NPR’s From the Top, attends this year’s competition to make recordings for his show. Alumni all-stars from the competition will perform opening night, Friday, March 18. The 2016 competition concludes with the finalists concert, Saturday, March 19; and the winners concert, Sunday, March 20. See the Mondavi Center’s complete schedule and ticket information. • Orlando Consort and La Passion de Jeanne d’Arc (silent, 1928) — 8 p.m. Friday, Jan. 15. • Organist Cameron Carpenter and The Cabinet of Dr. Cagliari (silent, 1920) — 8 p.m. Wednesday, Feb. 10. • Benoît Charest & Le Terrible Orchestre de Belleville, and The Triplets of Belleville (2003) — 8 p.m. Friday, March 4. • San Francisco Symphony and E.T. the Extra-Terrestrial (1982) — 7 p.m. Thursday, March 24. All film-and-music programs will be held in Jackson Hall. Note the starting times: 8 p.m. Jan. 15, Feb. 10 and March 4; and 7 p.m. March 24.